Once again Freaky Loops are here for the second time with this hot, smoking Dubstep Massive Presets!! 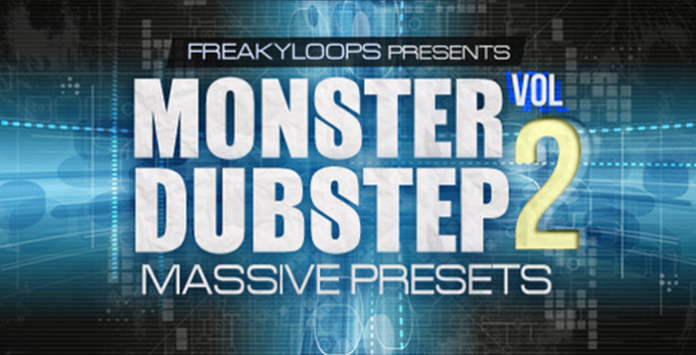 We are very proud to present our latest release “Monster Dubstep: Massive Presets Vol 2” – features 60 must-have patches designed for both aspiring producers and professionals alike. Inside you can find presets inspired by today’s top producers and awesome, fresh sounds. This pack is perfect if you’re after that Skrillex, Kill The Noise, Datsik and SKisM kind of sound. Bring your Dubstep tracks to the next level with the most up-to-the-minute throbbing bass-heavy sounds around. From screaming and screeching synths to wobbling and growling basses, intense leads to ear-piercing FX and melodic arps. You’ll find the most powerful, solid patches you’ve ever come across. All sounds use the Macro Control Knobs and ready-assigned to get tweaking straight away. You can use them in any way you feel to add creativity to your musical productions without any limitations. This collection contains, 44 Basses, 4 Synths, 2 Leads, 7 FX, 3 Arps. Presets are included as .nmsv files, which is the most up-to-date format compatible with Massive. They can be used with Massive 1.3.0 or higher. Whether you’re into Electro, Dubstep or Complextro, this pack will take your tracks from hot to boiling. These 60 stunning, perfectly designed sounds are ready to shake the dancefloors and will take your productions to a new level.